The Don Carlos line in general is one of my personal favorites to light up in the morning. They tend to have a slight bit of sweetness that goes well with coffee and the construction is top notch. Every time I have lit up this particular cigar I have never been disappointed. Just perfect construction with a slow and even burn time and time again. The cigar maintains a solid feel in the hand and draws incredibly smooth. It\'s packed with flavor and just a delicious well rounded cigar overall. Medium bodied, never overwhelming and a great choice for all levels of experience. It\'s not the cheapest smoke to enjoy but by the time I\'m done with one of these it\'s the last thing I\'m thinking about. If anyone likes lancero shaped or skinnier cigars, this is an absolute must try. The España line is a favorite of mine from Quesada. They are unique in flavor and have a luring quality in the aroma. Construction is great, they burn well and smoke without effort. They have a lot of flavor and a mild-medium body. These are great in the morning or when I don\'t want something heavy on the palate but still want a cigar with a lot of flavor that isn\'t overly complex. The robusto size is just a classic. I\'d be happy to light this up at any time. This is a fantastic short cigar that offers a ton of flavor and a unique personality. I\'ve had some of the original Roxxos for years now and they are still smoking incredibly well. Smokes without any effort at all and packs a well-rounded experience in such a small size. Sweet, spicy, medium body with a full aroma. The Brick House maduro is a great cigar, especially for the money. It\'s loaded with flavor and character. It\'s fairly complex with noticeable changes in the aroma and taste as the cigar was smoked. IT had sweet and spicy notes with nuts and woody traits. It gradually built to a medium-full, full body. Great overall construction and a great value cigar. For anyone that likes bold and spicy cigars, this is a great choice. It offers a lot of peppery spice in the nose, aroma and taste. This one is full bodied and will definitely leave a lasting impression that may not be ideal for a novice but appreciated by a more experienced palate. The aroma is rich and full, which matches the mouthfeel and overall character of this cigar. I really enjoyed this cigar as soon as I tried it. The pre-light smell was sweet and rich. The cigar felt solid in the fingers and had an effortless draw. It offered a lot of intriguing flavors and complexity. A spiciness dominated the mouth feel, which became creamier as the cigar was enjoyed. It went from a dominating spicy earthiness and revealed more sweet, nutty, cracker like notes as the cigar burned down. The body was present and well balanced with the flavor profile of the cigar. Medium-full overall with a lot of personality. The Nat Sherman Sterling is one of my go-to cigars when I want to sit down and appreciate a milder cigar. The robusto is a classic size, however the lancero is my favorite in this blend. The Sterling line is a bit pricey but can easily stand next to other mild cigars that are in the same price category. The Sterling line offers more of a earthy nuttiness, cocoa, as well as black and white pepper notes. They are well made with some complexity, balance and finesse. You can get a rich flavorful experience without the punch of a full bodied cigar. I loved this cigar from the first puff. It\'s an extra long lancero shaped cigar. I personally like smaller ring gauges, however, this cigar really stands out to me because of it\'s unique flavor profile and taste. The aroma has spice characteristics such as cinnamon, white pepper and nutmeg, with more nuts and cracker, toast-like notes coming through in the aroma. The cigar has a refined quality and is one of my choices when I have some time to sit back and enjoy everything it has to offer. This is an easy going Dominican cigar with a lot of balance on the palate. The aroma and flavor really stood out with a delicious sweet and mildly spicy character. It was extremely easy going but the flavor kept delivering and the aroma continued to get richer as it was smoked. A great choice for any occasion. Mild-medium body and packed with a smooth yet rich flavor profile. This is a great robusto shaped cigar that offers a full body and rich, full, spicy flavors. The flavor profile was unique, with a lot of familiar traits like cocoa, nuts and peppery spices. It had an interesting smokiness and some hints of vanilla. Outstanding construction and burn. This is a little powerhouse cigar loaded with flavor, aroma and a full body. For as full as this cigar is, it has a very clean and robust finish. My favorite La Palina cigar to date. This one was made in the Bahamas. Before lighting, the cigar offered a rich, sweet and salty hay-like note. Once lit it boasted a wonderful aroma with clean, rich flavors that wouldn\'t let up. Balanced on the palate with a creamy, yet light mouth feel. From the first puff to the last, this cigar has always delivered. It\'s a shame that it isn\'t produced anymore. This corona shaped cigar is full flavored with a lot of chocolatey fruit-like, earthy spice notes. Every one I have lit up, smokes flawlessly with a great burn and effortless draw. The cigar continues to develop as it\'s smoked, intensifying in body aroma, and flavor strength. Complex with a big and bold personality. The 44 ring gauge is my favorite in this blend. I usually go for one of these when the weather is cooler or after a heavy meal. I\'d be happy to light one up any chance I could. These cigars have a distinct personality. They are rich in flavor and have great balance. Construction is top notch without any issues or effort needed. All P.G. cigars have a good amount of actual age to them. Meaning they were rolled and then aged for years. They are full of bright floral notes and have a nice, subtle spiciness and some sweet tones in the full aroma. For me, these are great early on in the day or when you want a cigar with a lot of flavor but not a lot of body. The Air Bender is one of my favorite LFD cigars. It has a lot of great flavors with spices and a sweetness in the taste and aroma. It\'s complex, full bodied yet never overwhelming on the palate. It\'s a consistent cigar that you can count on again and again. This one has some power and a lot of spice. Great construction and appearance. I like the aroma particularly, just very pleasant and spicy. The spice definitely stands out on this one but has great flavor and a full overall character. Loaded with flavor and the aroma always gets me with this one. Just full and rich. It has balance, spice, sweetness and so many other flavor profiles that don\'t get muddled out by an overwhelming body. I love the Sterling blend. It\'s one of my favorite Connecticut shade cigars because of the balance, flavor and texture. It\'s easygoing but can still deliver an unforgettable experience. I went 4 on this one just because I like other sizes in the blend better. This was an easygoing cigar that offered a lot of spice and earthy flavors with a full aroma. Smoked with ease and didn\'t require much attention. The Seleccion de Cazador cigars are rich, complex, packed with flavor and deliver a complex aroma with spicy hot cocoa-like traits. the aroma of these cigars are what have me coming back again and again. The especiales, or lancero size is one of my personal favorites from the line and just a great all around cigar that is as flavorful as it is elegant. This was just a well built, very flavorful cigar with a rich aroma. Full flavor, aroma and body. Great after a meal. This is a great size and a unique cigar overall with a lot of spices and flavor. It has an easy going body and just a solid cigar time and time again. This is an easy going cigar that has a full flavored, rich aroma. The aroma has a crowd-pleasing, luring quality with a sweet and spicy character. A great cigar for the price. I loved the shape and feel of this box-pressed lancero. It wasn\'t overly complex but offered a lot of earthy, peppery flavors and aromas. I\'ve had a few and the construction has been great every time I light one up. I loved the original Padilla 1932s made by My Father. They were just rich and full flavored with a lot of chocolaty notes in the aroma. Just an elegant cigar overall. This is a nice little cigar that packs a full flavored punch with a lot of spice and a sweet note on the finish. It had a full aroma to match the heavy texture and flavors that this cigar offered. As far as larger ring gauge cigars go, this was one of my favorites because of its unique flavor profile and rich, luring aroma. It was sweet and spicy with a dense, balanced mouthfeel. Just a great example of what KBF Cigars can do. It\'s really approachable for beginners and offers a lot of flavor and an aroma that any level of experience can appreciate. I\'m not a huge torpedo fan, but I have always appreciated Padron\'s 6000. It\'s a classic size and will smoke well even clipping a small amount of the end off. I like the rugged appearance and it has a bold pre-light smell. It feels great in the hand and has a full earthy, spicy, chocolaty flavor profile. Consistent time and time again. This cigar has an intense flavor profile with a spicy aroma. It has rich pre-light smells with a lot of earthy, raisin and hay like tones. It\'s dense and full bodied pretty much from the first puff to the last. A great smaller cigar that offers a very full experience. This was just a pleasant cigar that was effortless to enjoy. It had a lot of sweet and spicy notes with full flavors and a lighter body and a creamy texture. This is just a solid cigar through and through. It offers a lot of nice flavors with a smooth body. Great construction and burn overall. A great cigar to have in rotation. For a mild cigar this offered a ton of flavor with sweet honey notes and a lot of interesting spices. It was complex and extremely well balanced, with just the right amount of a mouthwatering texture to evenly coat the palate. a mild body let the flavors and aromas of the smoke take center stage. Rich yet easygoing with great construction. This cigar had a nice pre-light smell and taste and had a lot of power from start to finish. Full bodied all the way with a lot of dense, spicy flavors that lingered on the palate. This cigar has a lot of character and balance, with a medium-full body that lets the full and rich flavors and aroma of the smoke stand out. It has a unique oval box-press shape which makes the 54 ring even more comfortable. Well made all around. This is a great, easy going bold cigar that has a nice balance between sweet and spicy textures with a very pleasant aroma. It\'s a consistent cigar that would be great to enjoy in the yard or the beach. It has a nice black pepper spiciness and earthy sweetness with an overall full body and character. This is a great knock around cigar that is mild and straightforward. Meaning it has great construction and an overall simple character that doesn\'t require much attention, making it easy to enjoy while doing yard work or something active. This cigar had a unique flavor profile with white and black peppery spices, floral tones and sweet edge on the back end of each puff. It had great construction and offered an enjoyable experience. Formerly only available in the Dominican Republic, this is a nice boutique brand that has a lot of personality and is bursting with flavor. It\'s a Dominican puro, using all Dominican Tobaccos. It has complexity and an amazing aroma. These are great cigars, especially with some age. Anyone who is a Fuente or Opus fan would love these. An easygoing, straightforward mild-medium bodied cigar with pleasant aromas and a great burn. This cigar took me by surprise when it first came out with how rich, flavorful and full they were while still having some finesse in the way it smoked. It has a very full character in nicotine strength as well as a big and complex flavor profile but it all worked harmoniously. When I wrote the original review above I couldn\'t stop writing. I\'m looking forward to trying these with some age. This was a really pleasant, flavorful cigar that had a unique personality. I personally like them in the morning with coffee when I am looking for something with a little more body strength to start the day. This cigar turned out to be a flavor bomb for me. It really had a lot of rich notes and an incredible aroma. It was complex and just kept intensifying as it was smoked. I\'ve only had a couple, but looking forward to more and seeing how these age out. An easy going mild cigar with spice and creamy textures. Decent construction and straightforward. This was an attractive cigar with a silky smooth texture and a firm box press. It had a lot of full flavors and a full body. This would be great after a big meal or to sit back with and enjoy. A smooth and simple Connecticut shade cigar with a mild body. Doesn\'t require much attention and has nice construction. Pleasant overall. This was a sweet and spicy cigar with a rich aroma, medium body and a fuller, spicier finish. It had a lot of black pepper traits that intensified with the body for the duration of the cigar. For as spicy as this cigar was, it was relatively easy-going with a medium-full body. Pictured and reviewed above was the original Camacho Connecticut, with the old packaging. When I wanted a milder cigar I would tend to pick this one up since it offered a lot of delicious flavors and a nice aroma without a heavy mouthfeel. It always had amazing construction. 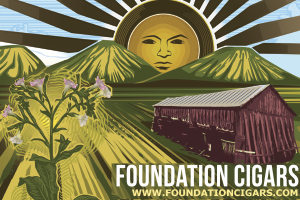 My wife really enjoyed this blend as well and was her go-to smoke for a while at cigar events. A great size and a lot of flavor. This little cigar has an amazing, rich aroma, full flavors and great construction. It took me a while to finally get around to trying the Daniel Marshall Red Label but I really love this cigar, and especially the churchill size in the line. The robusto is just as flavorful and has a lot of rich flavors. The cigar just has an overall luring quality to it, especially in the aroma. A really good, well made cigar. This was a unique cigar packed with flavor. It was a great toro shaped cigar that had great construction, complexity and a flavor profile that just wouldn\'t let up. This is one my go-to Quesada cigars. They are good when new but I like to put them away for some time. A little age smooths it out and really lets the rich flavor profiles shine through without losing any of the strength. It also seems to help with the burn when stored around 65% humidity, which is what I usually keep a lot of cigars that have thick and oily tobaccos. This was a really enjoyable cigar with great construction. It offered a full bodied, full flavored experience with a lot of spice and flavor. We\'ve had the chance to put them away for a few years and they mellowed out considerably. Great eye appeal and feel with a box press shape and dark, oily wrapper. This was one of the first KBF cigars I had the pleasure to smoke. They are very distinct with a lot of bright, floral and tangy sweet flavors and aroma. The aroma was intense and rich in character that lured you in. I personally love cigars that have a mellow, but present body with full flavors and aroma. This one is a great example of that. Loaded with character and clean finish. This is a great change of pace for me from heavy black pepper and cocoa profiles of other cigars, especially if you like the unique traits this cigar has to offer. This is a nice sweet and spicy, flavorful cigar. It has a well balanced spicy trait through the nose and a small bite on the finish. A slightly sweet edge rounds it all off. A very enjoyable and effortless experience. An awesome corona sized cigar packed with unique flavor and a lot of character. I would be happy to enjoy any chance I could. Don\'t look for size when buying these since you\'re paying for flavor and aroma. This one hasn\'t disappointed me yet. This blend would probably age fairly well as with some of the peppery qualities smoothing out and working more harmoniously with the flavor over time. A delicious cigar overall. One of my favorite Connecticut shade cigars, the Sterling blend is definitely not priced to be a daily cigar, but to me the flavor and experience is worth the occasion. When I have my choice to sit back and take my time to really enjoy a cigar I tend to go with lanceros or smaller ring gauges. Needless to say this Super Lancero is right up my ally. The taste is so well balanced and satisfying. It\'s an elegant cigar that will dominate your senses and not overload your palate. A great brunch cigar, special occasion cigar, or just an awesome cigar to start a work free morning. This is a great lesser-known brand out there that has always smoked incredibly well for me. Enjoyable from the pre-light smell to the last puff. Great flavors, balanced texture, smooth medium body and outstanding construction. It\'s a wonderful, affordable cigar with a lot of character that is easy and effortless to enjoy. This was a straightforward cigar with a lot of upfront spicy characteristics and a medium-full body and a long finish. There are dominating peppery spices that are consistent in the taste and aroma throughout the duration of the cigar. It builds in strength with a long and heavy finish at the end. This was a very enjoyable, easy-going yet hardy cigar with full, dense flavors and a rich aroma. A very consistent cigar, although it picks up in body and flavor strengths as it was smoked finishing rather full. It will leave a lasting impression. The aroma was very pleasant with great construction overall. Would be a great candidate to age in order to see how it is when mellowed out a bit. It could most likely stand up to a lot of aging time especially sealed in the tube. This toro shaped cigar had a lot of character and smoked well. It was complex with full spicy flavors. Just well made overall. This is just a well made, consistent cigar and the Hermosos size is a personal favorite in the blend. Great flavor and aroma with a medium, medium-full body. 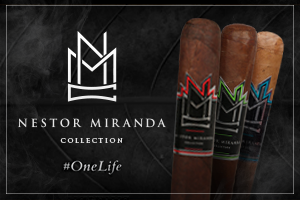 I\'m a fan of the entire Matilde Oscuro line. It offers a lot of flavor, complexity and full aromas with a balanced texture. As the cigars age, they smooth out revealing more nuances in the flavor and aromas while reserving a full flavored character. An in-your-face spicy cigar with a hardy, full body that sets in pretty quickly. A great choice for someone looking for a smaller format cigar that also offers a lot of spice and full nicotine strength. This torpedo shaped cigar had nice eye appeal and felt good in the hand with a slight box-pressed shape. IT offered a lot of spicy pepper and coffee notes with a mild sweetness on the back end of the taste. Builds in strength as it was smoked finishing very full and packed a punch. For those who like bold aromas with a lot of spice and chocolate notes, this is a great blend to go to. The aroma really stands out on each size in the blend. I\'ve given other sizes in the blend higher ratings but if you are a fan of this size and like a lot of character in your cigars I\'d suggest this one any day. I normally stray away from cigars with different wrappers, but I\'ve had my share of Cabinetta cigars. The maduro end at the head of the cigar leaves a sweeter taste on the lips that goes well with the dense, creamy texture and spiciness of the of the cigar. Medium bodied overall, great construction. 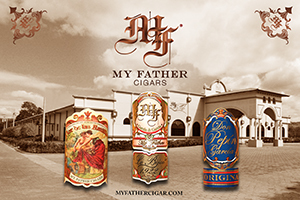 This cigar offers a lot of strength with full flavors and aromas, beginning to end. Spices, cocoa and earthy notes dominated the taste profile. This is a nice blend and I\'m excited to see how it will age over some time. The aromas really stand out and offer a rich sweet note with subtle spices. Great overall construction. This was a pleasant cigar when new and also after it\'s been aged for some time. Complex full flavors with a body that accentuated the flavors instead of over powering them with a nice spicy and sweet aroma. A nice lancero shaped cigar that offers a lot of earthy cocoa and spicy flavors without too much complexity so it won\'t demand too much of your attention while keeping your taste buds happy. Smoked effortlessly and evenly. As it\'s says above - This was a complex, full-bodied, full flavored cigar that left a lasting impression. The full character of this cigar set in quick and didn\'t let up in the flavor, aroma or body department. It had a lot of nuances, spices, flavors and aromas that developed as it was smoked. 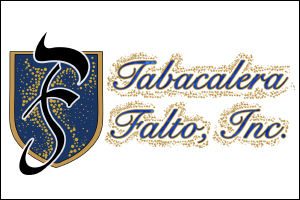 A smooth and easy going cigar that offers a lot of flavor with a dense, creamy texture on the palate with a spiciness that developed as the cigar was smoked. I like the box-pressed shape and Churchill size of this cigar. great construction overall this is an easy cigar to enjoy at any time of the day. An easy going mild cigar through and though with delicate flavors and a creamy texture. A great choice for those who like a mild body and lower strength in their cigars. These tubes are great to have and easy to share. I really enjoyed this cigar and am looking forward to getting through a box. The aroma, flavor, body, everything worked for me. Well balanced and bursting with flavor. Just a great medium bodied cigar. This was a nice cigar that had a good amount of power both in flavor and body. It wasn\'t over the top like a lot of cigars with a lot of strength. It was balanced on the tongue and had nice flavors and aroma. A great smoke from Veritas. Big flavor with chocolaty notes and aroma. Complex with development in both flavor and body profiles. A full, flavorful aroma, this cigar had a lot of strength and the flavor and aroma to back it up. This will leave a lasting impression, ideal for sitting back and relaxing with. This is a lighter bodied cigar with a pleasant, full aroma and slightly sweet tone. Great construction and effortless burn. Easy enough for a newbie, flavorful enough for those who just appreciate milder cigars with a great aroma. These are easy going cigars with a distinct flavor and pre-light nose. Great construction, moderate spices and a medium body. It has an underline sweet tone and can be enjoyed in pretty much any situation. An effortless cigar with great construction, this was a spicy medium-full bodied cigar that wasn\\\'t too complicated and also offered a rich, full experience. Great for tailgates and BBQs. Just an overall well-made cigar that is packed with flavor and some kick. It has a nice spicy character but never overwhelmed the palate. I\'ve been able to age some of these and they do great with some time in the humidor. One of the first cigars that I really got into and one of my favorite sizes. Davidoff are masters at consistency and construction. Very unique flavor profile and distinct. A great full flavored smoke with complex spices and a phenomenal aroma.